UFC 221 was the most lucrative sporting event ever held in Perth Arena, and it was one of the most raucous crowds in any country in recent UFC event memory. Not only was the card packed with the crème de la crème of Aussie/Kiwi talent, but the fervent fan support seemed to drive the fighters as much as the fighting thrilled the fans. Add to it that the event began at 7:30am local time (to compensate for primetime audiences in the west), and that fan exuberance made for a truly unique and underrated spectacle. Oh, and the fights. Great, great fights. These are the talking points of UFC 221. It wasn’t the easiest week for Yoel Romero. After coming in three pounds overweight at weigh-ins, and only able to get down to 187.7 before the fight, the bout went on, but Romero lost his chance at the interim belt. 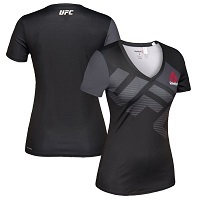 He also forfeited 30 percent of his show money to Rockhold. He went to the hospital following the fight after he was forced to do his postfight Octagon interview sittingon the canvas after suffering a leg injury. Still, if ever there were a silver lining, it appears that Romero will still get the next crack at Robert Whittaker for the middleweight strap. Dana White himself confirmed as much while speaking to ESPN. When he lost their first meeting at UFC 213, a rematch always felt like a possibility. Fast forward half a year, and with Michael Bisping and Georges St-Pierre out of the picture, the middleweight belt will have some clarity when the two are healthy and meet again. Speaking of middleweights, one of the most hyped debuts in UFC history happened in Perth, as Israel Adesanya knocked out Rob Wilkinson in the second round. ‘The Last Stylebender’ improved his MMA record to 12-0, with all wins by knockout. As impressive as any offensive move in his toolbox was a positively clinical takedown defense that put his opponent in harm’s way once too often. It was good enough for a Performance of the Night bonus, and a legion of new fans. There are plenty of times when hype is simply that: hype. But then there are the other times, the transcendental times, when the hype was all for a reason, and everyone feels as if they’re witnessing the arrival of a singular talent, and the latter was what happened at UFC 221. "Middleweights,” he announced from the Octagon after his win, “I'm the new dog in this yard and I just pissed all over this cage." If the division didn’t know him before, they’re paying attention now. 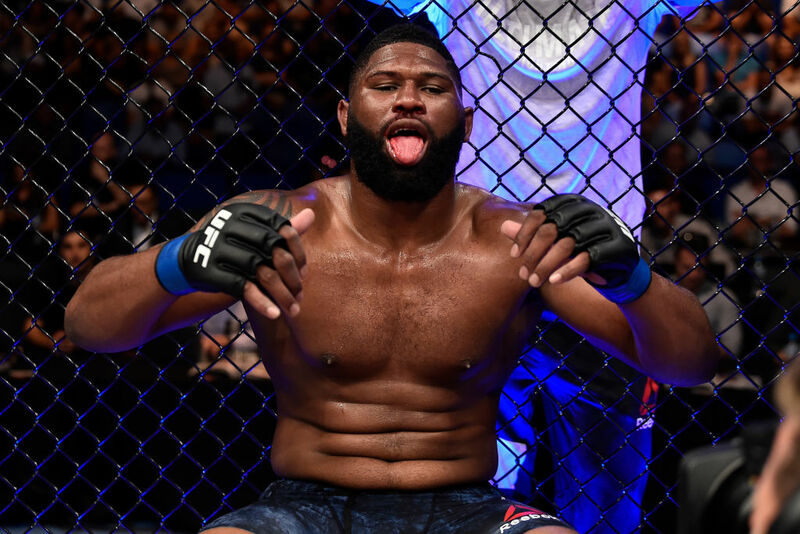 By his own admission, Curtis Blaydes was rocked by Mark Hunt’s notoriously heavy fists, to the point where he momentarily lost his vision in the first round of the UFC 221 co-main. Knowing full well that he couldn’t stand and trade with that barrage, his wrestling background kicked into overdrive and, to the dismay of the Aussie crowd, controlled their hero Hunt on the ground for the rest of the fight. Hunt had told reporters throughout the week that if Blaydes could beat him, then Blaydes deserved to take his place among heavyweights. That’s exactly the position Blaydes is about to find himself, with the young fighter (he’s 26) now looking up at the upper echelon of heavyweights. “Cain, Alistair, Werdum…” he mentioned at the post-fight press conference as his possible next fights, although he was careful to explain he wasn’t calling anyone out. 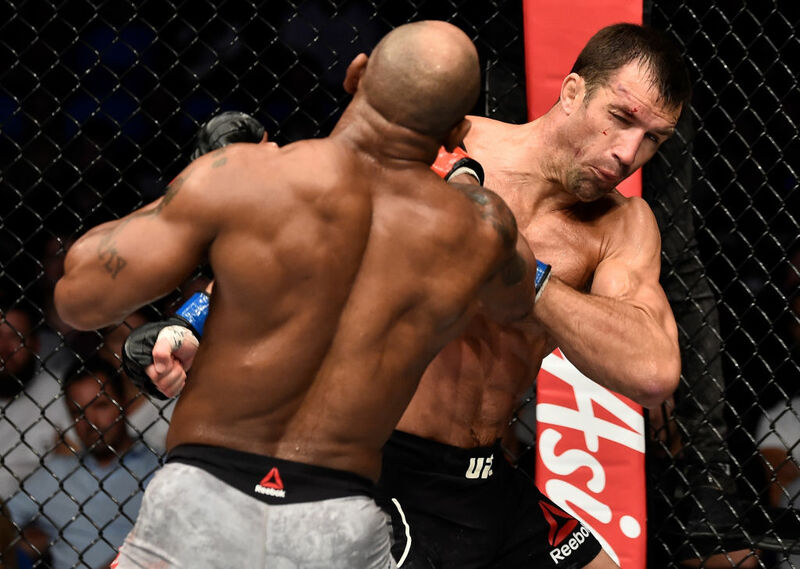 Asked about a Francis Ngannou rematch, the only loss of his career, Blaydes explained that it was inevitable, regardless of the time or circumstance. Whatever is next for Blaydes, he’s clearly doing everything right. When Mark Hunt walked out to the Octagon, the eruption of love and support for their hometown hero had few peers; Conor McGregor in Ireland, or Derek Jeter in New York maybe… you have to go to that level to understand the enormity of the moment. And while Hunt’s bout didn’t go as the crowd would have preferred, the remainder of the card gave the locals plenty of reason to be excited. Tyson Pedro, who admitted even he wasn’t prepared for the noise the Aussie crowd made for him, executed a first-round Kimura submission to open up the main card. His brother-in-law, Tai Tuivasa, remained undefeated with his elbow-heavy TKO of Cyril Asker in the first round of their fight (and then promptly drank beer out of a random shoe to celebrate. True story). The crowd was in a full frenzy. Pedro and Tuivasa certainly represent the future for Aussie fans, but there were still so many more moments of regional pride. Jake Matthews earned his Fight of the Night bonus in an instant classic against Li Jingliang. The aforementioned Adesanya is a New Zealand resident, and the rest of the world finally understands what they’re talking about. Alex Volkanovski positively dominated Jeremy Kennedy in a fight that really started lighting up the crowd, and Kiwi Luke Jumeau kicked off the entire affair with a win. Point being, the Aussies on the card were more than regional draws to get fans in the door, but were rather the force of an entire continent, a force to be reckoned with in every corner of the world.